Mr. Joseph Baptista , lovingly called "kaka Baptista" was the first mayor of Bombay(1925-26). Mr. Baptista was born in Mumbai in 1864, graduated in Pune and studied Politics and Law in London. As an Advocate in the High Court , he defended Veer Sarvarkar and demanded an open trial on the basis of fundamental rights. He was one of the founders of the All India Trade Union Congress (AITUC) in 1920, a labour leader, as well as the one who started the Home Rule League in Belgaum in 1916. He was also a close associate of Lokmanya Tilak, and in fact was the one who coined the statment "Swaraj is my Birthright", mad infamouse by Tilak. He also assisted Tilak in starting the Sarvajanik Ganpati. As a labour leader, he took up the cause of mill workers and postmen etc. He joined the civic body Bombay Municipal Corporation in 1901 and worked for 17 years. He was undoubtfully a religious person, but refused to let politics use religion. And though his community, the East Indians, being staunch Catholics could have benefitted, he refused to have separate electorates based on religion. I thoroughly disapprove of separate electorate for Indian Christians in water-tight compartments were his strong words. Joseph Baptista Gardens also known As The Mazagon Gardens, is just walking distance from the Dockyard road station. In the endeavour to keep history alive, it is of upmost importance to preserve whatever references we have of our community and of people within our community. 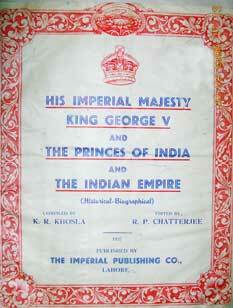 We are very greatfull to the family of Mr. John Miranda from Bandra, who have painstakingly preserved one such book. The following people, Revd. Fr. Cyril Alick DAbreo, Jos. Alex Dias, Dr. D. A. DMonte, Dr. Mrs. Cecella DMonte, Ceasar DMello, Dr. J. Alban De Souza, J. D. Fonseca, were prominent people in the eyes of the then government. It is important to realise that below mentioned individuals have the honor of being mentioned in the same book, sharing pages with the likes of Indian Kings, Queens, Princes, Princesses, Nawabs, Leading Politicians, Social workers, Learned people, prominent amoung them Gandhiji, Nehru, and very many others. Revd. Fr. Cyril Alick DAbreo, Bandra, Bombay Suburban District. Born 10th April, 1882. is a well-known member of the East Indian Clergy of Archdiocese of Bombay. He has Distinguished himself as an ardent public worker and builder of schools and churches. Is a keen sportsman and educationist. Under his benign aegis the caste and communal prejudices were removed at Nirmal and Bassein. He maintained at Bassein a free dispensary for the poor and the destitute. He is popular with all classes of people. Rev. Fr. Cyril Alick DAbreo holds a place of distinction in the galaxy of distinguished East Indian clergy. Noted for his zeal, and devoted to the spiritual, economic and educational welfare of his people, Fr. DAbreo is held in high esteem by the clergy and the laity of the Archdiocese. His has been a life of service and sacrifice entirely devoted to the spiritual and temporal advancement of the East Indians of Bombay, Suburban Districts. While he sees to the spiritual side of life of those entrusted to his care, it has always been his ideal to pay equal attention to the social service side of it too. A prominent member of the B.E.I. Association, he has consistently taken keen interest in the educational uplift of his people. As a builder of schools and as an ardent educationist, Fr. DAbreo enjoys a big reputation in his community. Essentially a minister of the poor, generous, loving and kind, he is popularly known among the poor as a missionary priest. Being a sound exponent of Catholic education, Fr. DAbreo is a strict disciplinarian and the pamphlet he published on Discipline in Schools in connection with the Education Week organized by the B. S. D. Primary Teaching Schools Association has been highly commeated upon by a distinguished Catholic educationist. Fresh from the Seminary, Fr. DAbreos services were first requisitioned in the distant land of Agashi where he immediately devoted himself to the prompt amelioration of that Parish. Fr. Aniceto Rodrigues, the then Vicar of Agashi, soon discovered that his young assistant, was a valuable assed to the Parish, and for all practical purpose, he entrusted to him the entire administration. The parish school which was hardly patronised by the children of the locality soon grew into a popular educational institution under the fostering care of Fr. DAbreo. Mr. Gangal, the then inspector of Marathi Schools, who was on tour, visited the school at the request of Fr. DAbreo and he was amazed at the rapid progress it was making under the guidance of Fr. DAbreo. The laudable work Fr. DAbreo was doing in Agashi immediately drew the attention of His Lordship, the Bishop of Damaun. At Koli-Kallian Fr. DAbreo had to fall back upon his athletic abilities to draw the young men towards him, thereby instilling greater fervour in the youth of the Parish. Thanks to his administrative skill, the school at Koli-Kallian grew into a flourishing institution and in this mission Fr. DAbreo was greatly helped by the Fathers of St. Xaviers School, particularly Fr. Bartholomeo. From 65 pupils the strength of the school went up to 250. The Bishop of Damaun was so much taken up with the work of Fr. DAbreo that he generously offered a sum of Rs. 20 to e awarded to the children as prizes, in addition to the usual monthly grant. The outstanding achievement of Fr. DAbreo at Koli-Kallian has been the building of the Vancola Chapel and the School. He toiled long and ceaselessly in building the Chapel and the School, actually begging for contribution from door to door. That Chapel and School stand today as a monumental example of his self-sacrificing zeal and fervour. In spite of the many difficulties and discouraging circumstances that were confronting him, Fr. DAbreo succeeded in collecting over twenty thousand rupees towards the building of the Chapel and the School. And what was even more discouraging, the fund were exhausted before the completion of the buildings. In view of the approaching monsoon Fr. DAbreo readily and generously gave a loan of Rs. 5000 to the roofing. Fr. DAbreo was then transferred to Versova where he instilled fresh life and spirit in the Sodalities of that Parish and in the School. In Versova too, Fr. DAbreo collected funds to remodel and improve the parochial house and the school. Besides, he introduced many reforms in the Parish which were highly appreciated by the parishioners. His unflagging earnestness was next transferred to Mt. Carmel Parish in Bandra, where it was evidenced in the development of the Parish School and increase in Parish devotions. The number of pupils in the school increased and classes were raised. As one earnestly devoted to the cause of the education of the children of the soil, Fr. DAbreo once again took upon himself thereby no means pleasant task of collecting funds to enlarge the school building. He collected some four thousand rupees towards the school building fund. Fr. DAbreo was then, transferred to Nirmal, Bassein, where he merited simultaneously the unstinted appreciation and friendship of the large Hindu and Muslim communities of that place and broke the barriers of enmity and distrust between the Christians and non-Christians. He was to the people of Nirmal an inspiring guide, and has often played the role of an Arbitrator, disputing parties abiding by his decisions. During his regime in Nirmal he introduced many innovations in the parish, and the Church there being poor, he built a chawl for rental purpose, the plan for the same having been designed by him. On the Occasion of his departure from Nirmal for Andheri, a huge farewell demonstration was organized and held in his honour by the Catholics and the Non-Christians of Nirmal. The late Archbishop Lima was highly impressed with his work in Nirmal, and appointed him as the Vicar of Andheri, where his characteristic zeal has already been manifest in various spheres of activities. It is his great ambition to raise the parish school into a high school, and he is leaving no stone unturned to translate the project into action. The glorious event during the brief stay of Fr. DAbreo in Andheri has been the celebration of his Sacerdotal Silver Jubilee. The mammoth demonstration held in his honour, various congratulatory addresses presented to him, expressive of peoples love and loyalty and the tributes paid to him on that great occasion by various eminent men of the Catholic community are a striking testimony to the unique place of distinction Fr. DAbreo holds in the Archdiocese as well as in the community. Jos. Alex Dias, B.A., B. SC., LL.B., Advocate, Journalist, Justice of the Peace and Attorney-at-Law, Bombay High Court, Bombay, residing at Bandra. He was Joint Honorary Secretary of the thirteenth session of the National Liberal Federation of India held at Bombay in the year 1931, wherein he advocated joint electorates with reservation of seats to minorities. Ex-Honorary Secretary for last 10 years and now Vice-President of the Bombay East Indian Association, an institution which represents the East Indian Community of Bombay Thana Salsette and Bassein comprising nearly 70,000 people. A prominent leader of the Catholic community of Bombay and the suburbs ; rendered very valuable services to the Catholic community of the Bombay Presidency in playing a prominent part in the mass movement for effecting the union of two ecclesiastical jurisdictions into one Archbishopric, viz., under the Archbishop of Bombay. Actively associated with multifarious activities promoting the social, educational, religious and political welfare of the Catholic Community at large and the public in general. His character, courteous manners, genial temperament and benevolent nature are well known to the public and have endeared hm to all classes of people. He is always ready to help good causes, public and private. Dr. D. A. DMonte, M.D., L.R.C.P., L.R.C.S., F.R.I.P.H., F.C.P.S., L.M. & S., Honorary Presidency Magisrate, Justice of the Peace, Knight of St. Gregory the Great, Municipal Councillor and the President of the Bombay East Indian Association and one if the leaders of the East Indian Community of Bombay Salsette and Bassein, was born on the 22nd May, 1859. After graduating in the Bombay University Dr. DMonte proceeded to England for prosecuting his medical studies and to receive European qualifications. From very early age Dr. DMonte took a very keen interest in public life in spite of his busy practice in his profession. His services to the Minicipality of Bandra are very consicuous and noteworthy. He was the first non-official President of the Bandra Municipality, and had rendered yeomans services  well-nigh whole time  during the epidemic of plague in Bandra as well as in Bombay at great monetary loss and yet refusing renumeration offered by the Plague Committee. These services were highly spoken of by General Gatacres in the Plague report. In this noble work Dr. DMonte ws ably assisted by his wife Dr. Mrs. DMonte. Dr. DMonte is an outstanding leader of the East Indian Community and has rendered invaluable services to his community. He is President, Bombay East Indian Association, Catholic Medical Association, Salsette Co-operative Land Development Society, Catholic Co-operative Credit Society, and Salsette Catholic Housing Society , and President and Trustee of D. Antonio DSilva high School Dadar. Several Catholic associations and public institutions receive ungrudging and free services of Dr. DMone. Dr. DMontes services to the City of Bombay are also well known. He has been the sitting Member of the Bombay Municipal Corporation for over 38 years, a Member of the Senate for more than 30 years, and at one time represented the Medical Faculty on the Senate and was the head of the Faculty as its Dean. Dr. DMonte was a member of the Legislative Council of His Excellency the Governor of Bombay from about 1911 to 1916. As a Justice of Peace and an Honorary Presidency Magistrate he served Government under circumstances of great difficulty during riots in Bombay. In recognition of his numerous services to his community His Holiness the Pope Pius bestowed on Dr. DMone the great honour of the Knight of St. Gregory the Great. Dr. DMontes activities are as varied as they are of a cosmopolitan nature. He was one of the Vice-Presidents of the College of Physicians and Surgeons of Bombay. He is Director and Chairman, Bombay Mutual Life Assurance Society Ltd. And the Modern Insurance Co., Ltd.; Hon. Secretary and Trustee, Sir J. N. Wadia Charitble Dispensary ; President of the Deaf - Mutes Institution ; Hon. Secretary and Treasurer, Edulji Framji Allbless Leper Home, Bombay, Member of the Acworth Leper Asylum, Matunga as also a Member of the British Empire Leprosy Association. He is also a member of several leading institutions in London like the Royal Society of Tropical Medicine and Hygiene, The Royal Institute of Public Health, the Royal Sanitary Institute, the British Medical Association, East India Association and British Indian Union. He is the Fellow of the Royal Society of Medicine of London and also a Member of the Bombay Medical Council, W.I.A.A Association, Gran Medical Collede Society, The Bombay Medical Council, the Gokuldas Tejpal Nursing Association, The Bombay Sanitary Association, Bombay Presidency Released Prisoners Aid Society, Bombay East Indian Educational Co-operative Society, Society for the Protection of Children in Western India, the Helpless Beggars relief Committee, Bombay Art Society, the Willingdon Sports Club, the Bombay Flying Club and the Orient Club. Dr. DMonte had the honour of being presented by the Secretary of State for India at the Levee of Her Majesty Queen Victoria at the Court of St. James in 1886. Dr. D. A. DMonte has gifted to the Salsette Catholic Co-operative Housing Society, of which he is the President, vast piece of valuable land worth about Rs. 40,000 just in the Heart of the city for a Park know as Dr. DMonte Park. He has also contributed largely towards the erection of a building for the Gymkhana known as Dr. DMonte Pavilion & Bandra Gymkhana of which he is the President and Trustee. Dr. Mrs. Cecella DMonte, L.M. & S., F.C.P.S., J.P., Honorary Presidency Magistrate, a recipient of the Silver Jubilee Medal, a prominent social worker, and wife of one of the well known Catholic leaders, Dr. D. A. DMonte, M.D., J.P. She was born on the 3rd June, 875. After passing the Matriculation Examination in 1892 she joined the Grant Medical College in 1893, and in the same year obtained the Lady Reay Medical Scholarship and the first Government Scholarship. She passed the L.M. & S. Examination in 1897, obtaining the Bai Hirabai Pestonji Hormusji Cama Gold Medal in Surgery and was appointed House Surgeon to the Cama Hospital in 1898, at a time when the work at the Hospital was very arduous and Lady Doctors very scarce. She married Dr. DMonte of Bandra in 1900. She was appointed 2nd physician to the Cama Hospital in 1901 and was made a Medical Officer in charge of the Jaffar Sulleman Dispensary, the Out-Patient Department of the Cama Hospital, where hundreds of women from all part of Bombay and the suburbs were treated. She worked at this charitable dispensary for 26 years, rendering yeomans services to suffering humanity. In 1927 Dr. Mrs. DMonte was appointed Acting Medical Officer in charge of the Camam Hospital and was confirmed on the same post in 1928. She retired in 1930 from the Cama Hospital after completing 32 years of meritorious services. Even after retirement, Dr. Mrs. DMonte is serving as a Member of the Advisory Board of the Cama Hospital. Dr. Mrs. DMontes name is also well known in the social circle. Her services during the last World War were noteworthy. She formed a Committee of catholic ladies who were able to collect nearly Rs. 20,000 and to obtain 1,228 gifts and sell 3,630 Lucky Bag tickets. For these services she received a souvenir and a letter of thanks from Her Excellency Lady Willingdon. She was appointed on every committee organized for War relief work. Mrs. DMonte was President of the Catholic Ladies Association and of Bombay Presidency Womens Graduates  Union. She is also Justice of the Peace and Honorary Presidency Magistrate. She is doing useful work in the Juvenile Court. She has taken an active part in all movements for the welfare of women and children. She has donated Rs. 16,000 for quarters for House Surgeons at the Cama Hospital, where she has devoted practically all her life. Add content to your paragraph here. 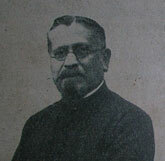 Ceasar DMello, honorary Magistrate, Andheri, was born in 1882. He comes from an ancient land-owning family of Salsette. After finishing his education at St. Xaviers College, he joined the Royal Insurance Company in 1901 where by steady and intelligent work, he rose to the position of Accountant and official Superintendent. After long and meritorious services of 34 years Mr. DMello retired in 1936, and the Company accorded their high sense of appreciation for this excellent work by giving him a farewell address and presenting w silver salver. From a very early age Mr. DMello took keen interest in matters connected with his community, as also in public life, particularly of the Salsette District. In 1918 Government nominated him on the District Local Board, Thana and later on the Taluka Local Board, Thana. He was appointed Honorary Magistrate on the Bench founded in Andheri in 1924, and has been re-elected year after year, and now he is appointed official Chairman of the Bench. In 1922 he was elected a member of the Notified Area Committee. He was the first non-official Chairman of this committee and to him goes the credit of being appointed Chairman continuously for five years till the Andehri Municipality merger into the Ville Parle Municipality by the strenuous efforts of Mr. DMello. Mr. DMello was elected the first Mayor of the Ville Parle- Andheri Municipality in 1935. He was given a public address in Andheri on 10 August, 1930, in recognition of his valuable public services. Mr. DMello was a nominated member of the School Board of the Bombay Suburban District and in 1922 was elected President of the Suburban Local Board . The Collector, in his review of the administration of the District Lacal Board for 1932-33 said,  The Services of Ceasar DMello deserve to be mentioned as of special value to the district for the year under report. In 1933 his administration of the District Local Board was praised by Sir Frederick Sykes, the then Governor of Bombay. During the Non-Co-operation movement, Mr. DMello rendered useful service to Government in maintaining peace and order in his district. During the Silver Jubilee celebration Mr. DMello took a very leading and active part in his district and he collected Rs 1,200 in Andheri. Mr. DMellos services to his community are most noteworthy. As Treasurer, Bombay East Indian Association, for 6 years, he collected large donations for the benefit of the institution. During the influenza epidemic in 1918 he collected Rs. 1,000 for the relief of the community in Salsette and Bassein. He has exerted himself unflaggingly for the economic welfare of his people. He had been an Advisory Secretary to the Co-operative Society of Bandra, and was Chairman of the Co-operative Society at Andheri. He wa also Vice-President of the Bomaby Indian Educational Society . He was also Vice-President, St. Aloysius Club, Andheri; Association for the Promotion of Social Welfare of the people of the locality and neighbouring parts; the All- Saints League; and the Traders and Mercantile Association, Bandra. During the recent movement for the improvement of live stock in the Bombay Presidency Mr. Ceasar DMello was the first resident of the Suburban District to encourage this step by presenting a pedigree stud and the Viceroy Stud Bull, and the Viceroy was good enough to acknowledge this gift by a personal letter. Mr. DMello has also been elected Chairman of a Committee appointed by the Collector for the improvement of the live stock in Bombay Suburban District. Dr. J. Alban De Souza, B.A., L.M. & S., Captian, I.M.S., J.P., Bombay, is a leading member of Catholic Mission and a prominent social worker. He is elected Member, Bombay Legislative Council, since 1926; Municipal Councillor since 1929; Chairman, Standing Committee, since 1935 and Member, Faculty of Arts, Grant Medical College since 1913. He was a Member, Provincial Franchise Committee, and gave evidence before the Central Committee on behalf of the Indian Christian Community ; is associated with the St. Johns Ambulance since last 20 years and holds the Associations Long Service Medal. Was awarded Silver Jubilee Medal, 1935, for numerous public-spirited activities. J. D. Fonseca, Head Bailiff and Custodian of the Court of Small Causes at Bombay, has to his credit a brilliant record of useful services for over 35 years. He started his career as a Bailiff in 1902 and was promoted to the present position in 1908. He also acted as an Appraiser for over a year, which arrangement was exceptional and the first of its kind. He has always given entire satisfaction to his superiors and in recognition of admirable work, was awarded the Silver Jubilee Medal. He is pleasant in manners and is very popular in the legal circles of Bombay.